Perfect for fans of Bridge to Terabithia and Walk Two Moons, this debut middle grade novel is the story of two girls and the unforgettable summer in which they learn about true friendship and loss. Annie has been promised a summer of freedom in the country. Freedom from a difficult school year, freedom from her fake “friends” back in the city, and, most of all, freedom from her mom’s life-governing spreadsheets and rigid schedules. 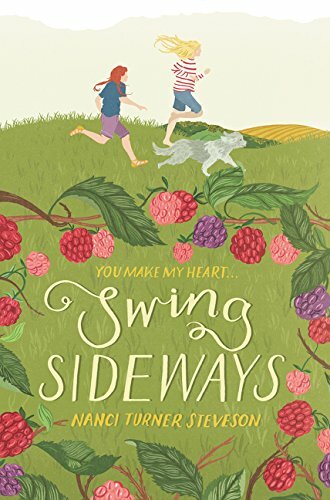 When Annie meets California, who is visiting her grandfather’s farm, it seems she has found the perfect partner for the summer she’s always craved. Especially when California offers Annie a real-life adventure: if she and Annie can find the ponies her mom rode as a girl, surely it will remind her mom how wonderful the farm is—and fix what’s broken between her mom and her grandfather. But Annie’s summer of freedom is sprinkled with secrets, and everything she has learned about bravery and love will be put to the test when the truth behind the ultimate secret changes her life forever.